Sente operates at 1871 and develops custom start-up accelerator programs for emerging entrepreneurial ecosystems. Primarily working with local partners, universities, and government agencies, Sente’s programs prepare graduates of the programs for global competition. Sente is the proud and exclusive international program partner of 1871. Sente is currently running all of its international cohorts out of 1871. A sales and business development partner of Sente is Fruition Business Group, a full-service business development firm for technology companies wanting to build or expand business operation and in the North America market. They support companies to engage with the right prospect customers and distributors to drive repeat business that convert into scalable growth. 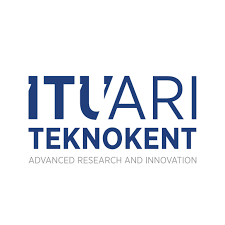 Sente is a strategic partner of ITU ARI Teknokent for their ITU GATE program, an international start-up accelerator that aims to strengthen the Turkish entrepreneurial ecosystem. Sente conducts international business development and acceleration services, training programs, and sets up opportunities for face-to-face meetings with investors and potential clients in the USA. LandInChicago is a 12-week intensive market-entry program run by international serial entrepreneurs to help Finnish growth companies to launch their market entry to the US market through Chicago. ​Impact Hub Bucharest is the go to place for you & your organization to grow together. You will find an award winning coworking space, an entrepreneurial minded community, business development & acceleration programs, crowdfunding opportunities for your startup, innovative conference formats and a funky event space.